On 11-11 @ 11am, well over a hundred truth-speakers and patriots from all around the region and the country, including brave Johnny Wave, gathered on a cliff in Santa Monica above the Pacific Ocean. They commenced to march through the streets chanting, teaching and handing out information. And from what I have heard, it was quite an impactful and inspiring day to both those marching and watching. Though I missed it being on the other side of the country, this beautiful video put together by Bruno from WeAreChangeLA, with material and help from many others, still gives me some good goosebumps. At a recent David Ray Griffin speaking engagement in Los Angeles, Activist and Actor Ed Asner and Michelle Phillips of The Mamas and The Papas both endorsed the campaign for Action on the Eleventh Day of Every Month until Justice. 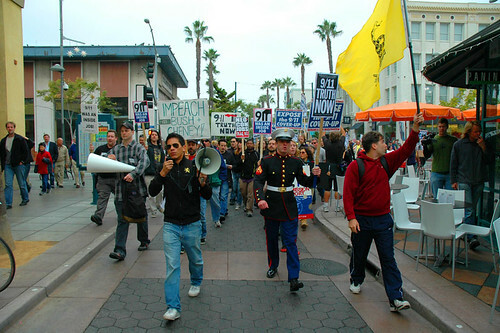 At the same event, Johnny Wave of Marines For 9/11 Truth called for the court martial of the Commander-in-Chief. 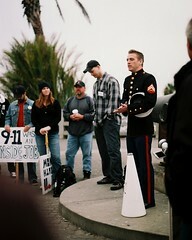 Are you going to be taking action for 9/11 Truth and Justice this Wednesday July 11th, the 70th month since 9/11? Well I hope so and so does David Ray Griffen, Michelle Phillips, Ed Asner and Johnny Wave. There is nothing more important than exposing the lie that 9/11 is. So on Wednesday July 11th spread the truth, wear a shirt, freeway blog, pass out fliers, stand up with signs and take pictures of your action and share it at TRUTHACTION.ORG. Link up with truthers and bring the truth revolution to your community..
Now is the time. The floodgates have opened. People are talking. Is there a problem? Yes. We’ve been lied to. We are sacrificing young American men in Iraq every day. God knows how many Iraqis and Afghanis we’ve killed. If we sit by and not say a word as we allow this to happen, we are guilty. We are guilty of giving too much control to too few. We are guilty for not speaking out against the lies and injustices, the torture and unbelievable deceit, the breaking of America by people who are bent on dictating, controlling and destroying. They’ve done away with the Constitution. They’ve hijacked the airwaves. They are trying to get us to go along with their march toward a new order, but did anyone ever ask us if we thought the whole idea was a good one? State secrets do nothing but harm open and transparent societies. Some will argue that there is no such thing as a fully transparent government, but few can argue that our current government is not secretive. It is our duty as Americans to make things right. A government that cannot be held accountable for its crimes is a rogue regime. A government that does not obey its own Constitution is destined for failure and can only succeed if the populace does nothing. If you know the truth, you must share it. If you want to change the world for the better, you have to get out into the streets and do it! 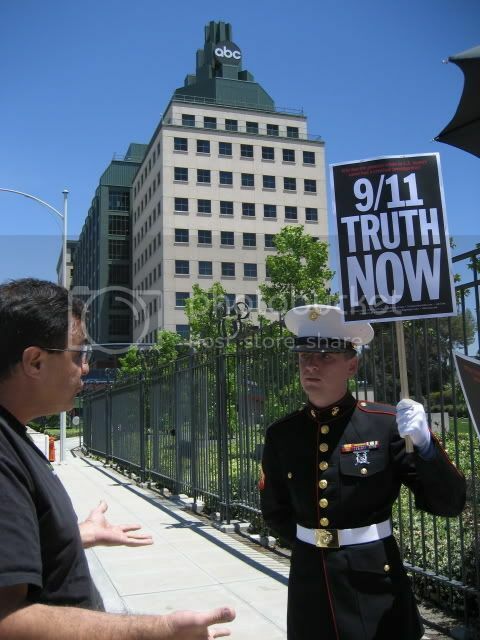 Johnny Wave USMC returns to Truth Revolution Radio tonight for a full length interview.